The two main Apple founders – Steve Jobs and Steve Wozniak – both came from humble backgrounds and were not endowed with commercial success. 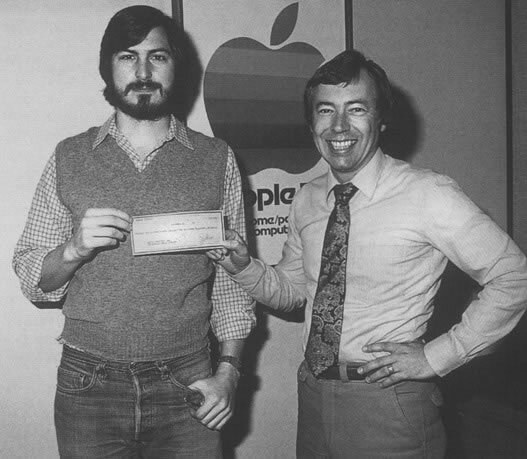 In order to afford the first pieces of the Apple I in 1976, they almost literally sold the shirts off their backs. Jobs invested the proceeds from the sale of his VW bus ($1,500 dollars). “Woz” parted with his beloved programmable calculator Hewlett-Packard 65 and deposited 250 dollars in the company’s treasury. Ronald Gerald Wayne, the “third founder” of Apple Computer, was with the company for only a short time. He illustrated the first Apple logo and wrote the Apple I manual. While at Apple, he also wrote their partnership agreement. Wayne worked with Jobs at Atari before co-founding Apple Computer on April 1, 1976. He was given a 10% stake in Apple, but relinquished his stock for 800 dollars only two weeks later because legally, all members of a partnership are personally responsible for any debts incurred by any of the other partners. After Apple’s IPO, Wayne’s stake could have been worth as much as US$ 1.5 billion. He claimed that he didn’t regret selling the stock as he had made “the best decision available at that time.” According to CNET, as of 1997 Wayne was working as an engineer for a defense contractor in Salinas, California. 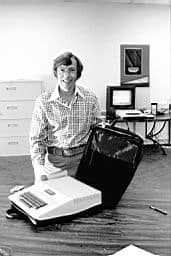 The foundations for the commercial success were laid in 1977 by venture capitalist Arthur Rock as well as by the ex-Intel manager Mike Markkula, who invested 92,000 dollars in Apple and secured a bank loan of 250,000 dollars. Markkula was lured out of retirement by Steve Jobs, who was referred to him by Regis McKenna and venture capitalist Don Valentine. Valentine—who after meeting the young, unkempt Jobs asked McKenna, “Why did you send me this renegade from the human race?”—was not interested in funding Apple, but mentioned Jobs’ new company to Markkula. Jobs visited him and convinced Markkula of the market for the Apple II and personal computers in general. Later Valentine asked Markkula if he could also invest in Apple. In 1977, Markkula brought his business expertise along with US$250,000 ($80,000 as an equity investment in the company and $170,000 as a loan) and became employee number 3. The investment would pay off for Markkula. Before Apple went public in 1980, he owned a third of the company. Markkula also brought in Apple’s first CEO, Michael Scott, then took the job himself from 1981 to 1983. Markkula served as chairman from 1985 until 1997, when a new board was formed after Jobs returned to the company. Wozniak, who virtually single-handedly created the first two Apple computers, credits Markkula for the success of Apple more than himself. “Steve and I get a lot of credit, but Mike Markkula was probably more responsible for our early success, and you never hear about him,” told Wozniak the Failure Magazine in July 2000. 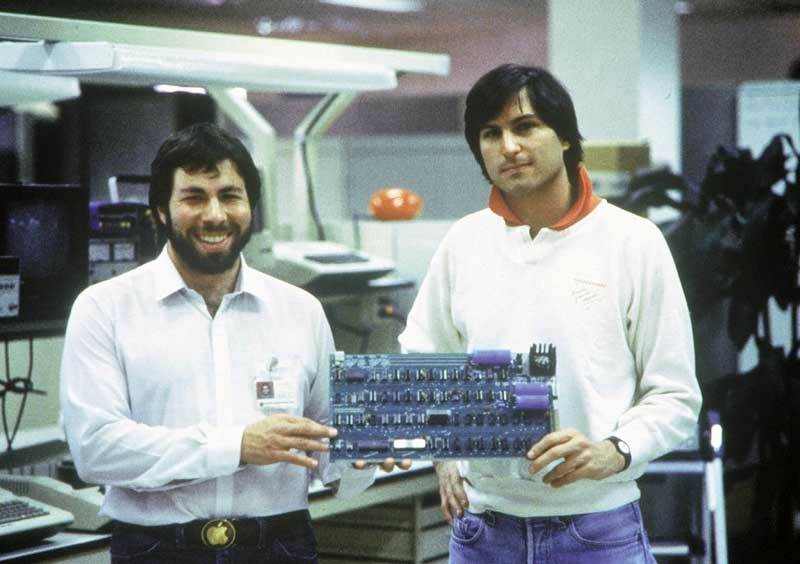 With the initial public offering on December 12, 1980, Jobs and Wozniak became multimillionaires, as Apple Computer was now valued at 1.8 billion dollars. Jobs possessed 7.5 million stocks (217 million dollars); “Woz” was assigned four million stocks (116 million dollars). Markkula’s share of seven million stocks was worth 203 million. Turnarounds from the brink of death or irrelevance are in high demand these days. Former star companies like AOL, MySpace, Yahoo!, Nokia, and RIM are in deep trouble or slowly faded away. Apple was in 1997 almost bankrupt. But then they came back with a vengeance. How did Steve Jobs do it? Can it be done again?